“The best-laid plans of mice and men often go awry.” That quote, adapted from Robert Burns’ 1785 poem To A Mouse, is where Of Mice & Men took their name from, and over the past few years especially, it’s been difficult to think of a more fitting summary of their career. Both Restoring Force and Cold World saw the pivot from metalcore to nu-metal receive hefty amounts of backlash, and after numerous tour dates having to be cancelled due to ill health and apparent creative stifling, Austin Carlile stood down as frontman. Now, it’s a credit to Of Mice & Men’s resilience that they’ve carried on, now with clean vocalist Aaron Pauley stepping up to the plate as full-on frontman, considering how Carlile was seen by many as the saving grace of a band in free-fall, and how the lead-off singles with Pauley at the helm didn’t offer much in the way of confidence that this would be a worthwhile growth, Of Mice & Men find themselves in perhaps one of their most tenuous and challenging positions to date. And honestly, it would be great to say that Defy is a success, that it’s the moment where Of Mice & Men finally take their detractors to task by breaking through the struggle with something genuinely excellent. But it would also be wrong, as Defy not only feels like a tired, deflated version of even modern Of Mice & Men, but with the mindset of finding success and making change that’s so deeply buried in it that it just can’t live up to, it’s more than a little sad. Even worse is that it’s so easy to see where things go wrong, and how all the residual negatives from Of Mice & Men’s past few years come together to get there. For a start, it’s so easy to see how much this band misses having a vocalist like Carlile to lend a distinct, unique presence; Pauley has range for sure, particularly when sticking mostly to cleans, but in terms of both singing and screaming, there’s a sense of profound anonymity throughout, and particularly when syllables are so laboriously elongated like on Vertigo, there’s a feeling of taking a vocal approach that isn’t beneficial for them. Though it’s not like the same thing can’t be said for the instrumentation, in which Of Mice & Men have felt the need to push their nu-metal affectations even further down the line for something more akin to the big, widescreen radio metal of a band like Five Finger Death Punch or Chevelle. That’s not inherently an issue – there’s more than a few instances where the guitar tone has plenty of meat on it, and when played to accentuate that arena-filling property like on Back To Me or Sunflower, the results aren’t too bad – but with production as muddy and dour as this, as well as the general crawling pace, it leaves Defy as an album that has volume that it can’t capitalise on effectively anywhere else. For as out of place as the cover of Pink Floyd’s Money is, it at least sounds like the band are enjoying themselves; everything else is so monotone and flat that it’s hard to concentrate on, particularly when so much adheres to the exact same formula of thundering radio-metal riffs with little tact or nuance, and the sort of interchangeable, trope-ridden content pulled from both metalcore and nu-metal. Speaking of the content, it’s very rarely worth shouting about either. Again, the exceptions are there, like the more detailed lyricism of the Chester Bennington tribute If We Were Ghosts, but songs like Warzone and Still YDG’n feel dumped from the modern metal lyric machine, all about falling from grace and rising past the haters for the umpteenth time that’s just tiresome at this point. What’s more, you’d think that with all the knocks that Of Mice & Men have endured to get to this point that they’d be able to come up with something beyond these boilerplate generalisations, but it never comes to that, and is more concerned with playing it safe to map down what the band actually know rather than build those foundations, or prosper into something more. Instead, Defy feels like a regression when it really shouldn’t have. 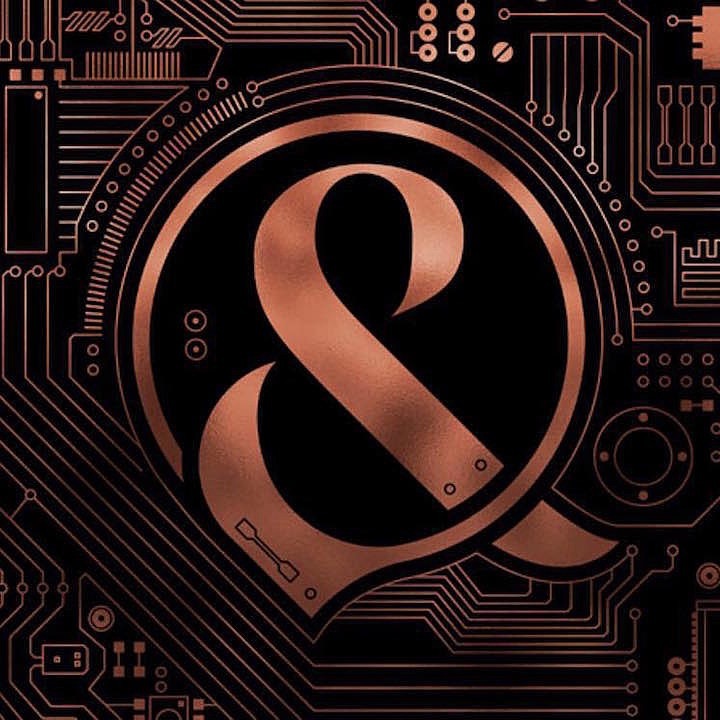 It’s understandable that Of Mice & Men might be tired and demotivated after all they’ve been through, but for an album called Defy designed to show that they’re not to be counted out just yet, they could at least hide it a bit better. This is Of Mice & Men at their lowest ebb, burnt out and unable to even pretend that’s not the case. Maybe this can provide the foundations for what’s to come in the future, and given what Of Mice & Men have been through, they’re more than likely to stick out whatever comes next, but right now, they feel like a shadow of the band they once were. ‘Defy’ by Of Mice & Men is released on 19th January on Rise Records.